Within the Yungdrung Bön tradition, there are five ancient family lineages that are said to have originated with the gods and whose descendants have made profound contributions to the preservation and continuation of the Yungdrung Bön tradition throughout history. These Five Divine Families of Bön are the lineages of Mu-Shen, Dru, Pa, Zhu, and Me’u. Menri Monastery in Dolanji, India. The original monastery of Yeru Wensaka was founded by the Dru family lineage. The lineage of the royal Dru has two main branches: Sa Dru and Nam Dru. From the branch of the Nam Dru, the essence of all Enlightened Beings in the form of Özer Dangden descended from the celestial realm of Ogmin in order to benefit sentient beings. Perceiving that a demon was causing great harm to human beings in the area of Tibet, he magically rode upon his drum and was guided by a priest of the Yangton lineage. The king of Togar felt great faith in him and asked that he be given a meaningful name. Therefore, he was given the name Drusha Namse Chitol. He was called ‘Dru’ because he descended from the celestial realms. Drusha Namse Chitol went on to subdue the demon and convert all of his companions to the practice of virtue. One of the esteemed descendants of this lineage was Dru Gyalwa Yungdrung (1242-1290 A.D.) who composed the practice manual for the Dzogchen teachings of the Zhang Zhung Nyen Gyü. The Dru family founded many monasteries including the first organized monk college of Yeru Wensaka in 1012. It was destroyed by a massive flood in 1386, but rebuilt in 1402 by Nyamme Sherap Gyaltsen and renamed Menri Monastery. After the Chinese destruction of this monastery in modern times, Menri Monastery was rebuilt in Dolanji, India. 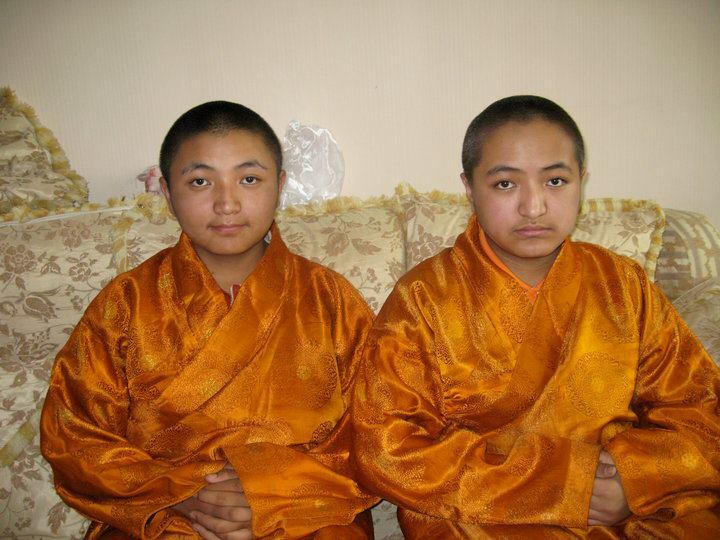 However, the Dru family’s influence and contribution in the Bön tradition have all but disappeared due to the recognition of two Panchen lamas in the family. 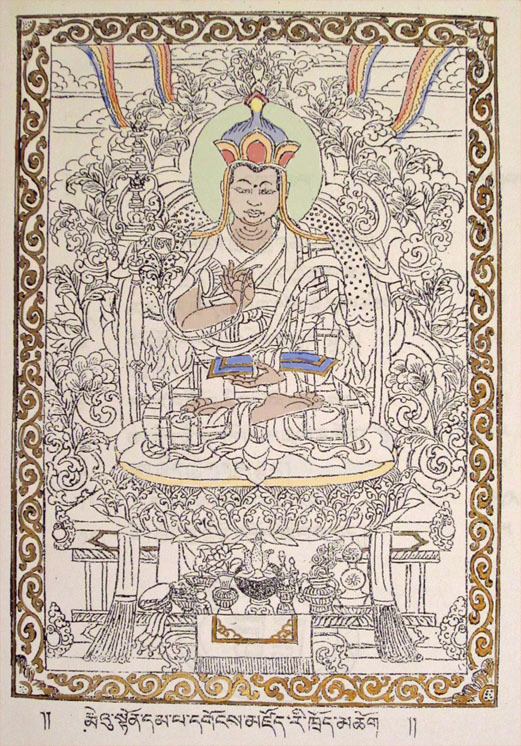 The first, Pachen Lozang Yeshe 1663-1737, was recognized by the Fifth Dalai Lama as a way to establish the reincarnation lineage of Panchen lamas. At the same time, the Fifth Dalai Lama encouraged the family to continue to practice their own religion. When the second reincarnation, Panchen Tenpa’i Wangchuk, was recognized within the same family lineage, the Dru family seat was incorporated into the estate of Tashi Lhunpo Monastery, the traditional monastery of the Panchen lamas. The lineage of the holy Pa began with Lha Bu Pa Wa who was the son of Sangpo Bumtri, one of the Four Transcendent Lords of Yungdrung Bön. He descended to the god realm and turned the wheel of Bön. From there, he descended into the land of Zhang Zhung and went to a crystal cave on Mt. Tisé (Mt. Kailash) where he meditated upon the yidam Zhang Zhung Meri for three years. There are many esteemed lamas in this lineage including the Thirteen Excellent Pa Lamas who were located in Western Tibet. Later, their descendants migrated to the Amdo area of Eastern Tibet in the region of the Hor Ye Tha clan. Here, the Pa Tsang Monastery, formally known as Pa Tsang Gön Yungdrung Rabten Ling, was established in 1847 by Patön Yungdrung Namzang. The monastery contains many murals of Yungdrung Bön deities and protectors. 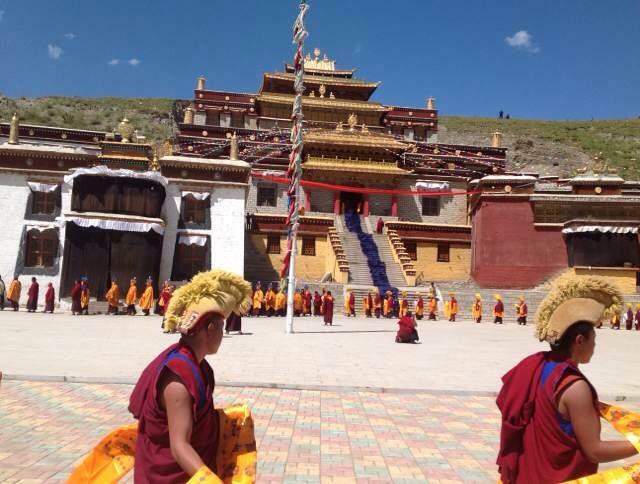 Presently, the monks of Pa Tsang Gön are known for their expertise in their twice annual sacred cham dances. One of the most renowned descendants of the Zhu family lineage is the holy lama Zhu Ye Lekpo. Born into the divine Zhu family, he heard of the Great Shen who had discovered Bön texts and who was the catalyst for a resurgence of the Yungdrung Bön tradition. This Great Shen was Shenchen Luga. Zhu Ye Lekpo went to Shenchen Luga and requested teachings. Shenchen Luga tested his faith by having him act as an attendant for eight years before giving him any teachings or transmissions. However, Zhu Ye Lekpo became Shenchen Luga’s main disciple and responsible for the dzogchen teachings and practice. He founded Ri Zhing Monastery in the eleventh century. This monastery became very famous. 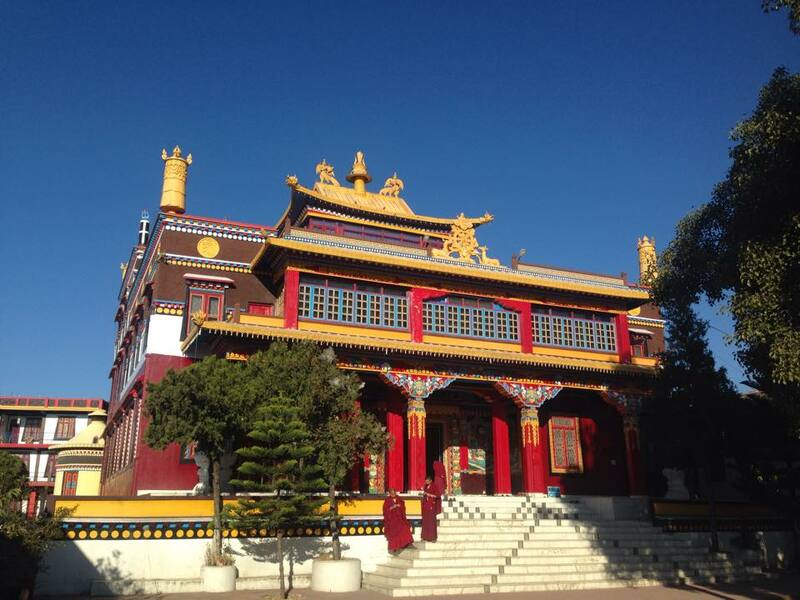 At one time, the Tibetan government donated to it more than a dozen estates and it housed over three hundred monks. It was completely destroyed during the Chinese cultural revolution. In the 1980’s, members of the Zhu family began restoring one of the hermitages connected with the monastery. The descendants of the Zhu family now live in India. Throughout history, these Five Families of Bön have had a profound impact on the continuation of the Yungdrung Bön tradition in countless ways including ensuring the continuation of teaching and lama lineages, building monasteries and hermitages, and in the commission of creating statues, murals, thangkhas and the printing of texts. Posted on February 21, 2016, in Pilgrimage, Preservation, Tibetan Culture & History, Tibetan Lamas, Uncategorized, Yungdrung Bon Monasteries. Bookmark the permalink. Leave a comment.